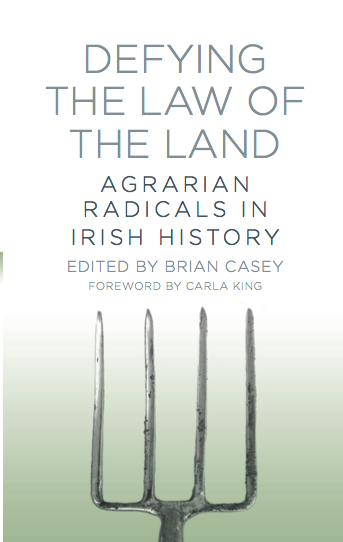 Launch of ‘Defying the law of the land: Agrarian radicals in Irish history’ | Come Here To Me! Dr Daire Keogh, President of St Patrick’s College, Drumcondra will launch the book ‘Defying the law of the land: Agrarian radicals in Irish history’ (ed. Brian Casey) tomorrow evening (Friday) at 6.30pm in the Teacher’s Club Parnell Square. The book, published by the History Press, looks at the Land League, the Knights of the Plough and the perception and reality of Irish landlords while furthering understanding of the importance of the land question in Irish history. The collection of academic authors includes both established experts in their field, namely Carla King, Gerard Moran and Fintan Lane, and new voices in the arena from young and upcoming scholars across Ireland. A link to the Facebook event page can be found here.